I am quite fond of the saying that “truth is stranger than fiction.” As those of us who read spy fact (and those fiction works which blur the boundaries between the two) know, it is often the case. The film The Good Shepherd, directed by Robert De Niro and released by Universal Pictures in 2006, would seem to be such an example on the surface. It is true that the film had the tagline proclaiming it to be “The untold story of the birth of the CIA” after all. Was it though and how does it stand up more than a decade after its original release? Let us start with that tagline first. Within the opening minutes of the film, those with a knowledge of the history of the agency will recognize some familiar figures but not their names. Matt Damon’s lead character Edward Wilson is a perfect example of this as he has some physical resemblance to and sits in the same position as (in)famous counter-intelligence chief James Angleton. Wilson also appears as the planner of the Bay of the Pigs, which in reality was Richard Bissell. As this example may attest, the film makes extensive use of composite characters and highly fictionalized versions of others. Indeed, it seems to safe to say it’s the case with everyone in the film from William Hurt’s CIA director Phillip Allen (based on Allen Dulles) to Billy Crudup as British agent Arch Cummings and even characters such as Joe Pesci’s mobster Joseph Palm. The film uses this so much that the CIA’s History Staff produced a list to show who was who to an extent. 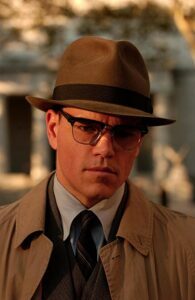 Matt Damon as Edward Wilson, a composite character based in part on James Angleton and Richard Bissell. The critique they produced in 2007 (and available online) also lays out that the film additionally does this with its depiction of events. The film’s framing device might be the disastrous 1961 Bay Of Pigs invasion and its aftermath but takes in events from before the founding of the OSS and throughout the early years of the CIA. Not only that but De Niro as director and especially Eric Roth as screenwriter seem keen to bring in as much of the history as possible including variations on the Golitsyn/Nosenko affair and MKUltra (in this case brought together in the same scene). Other examples of this include a coup in Latin America based on Guatemala which happens very differently from what occurred in real life and which the film places five-plus years before as well. While the film does have some facts in it such as a contributing factor to the invasion’s failure, it buries them in such fiction that one can’t see the forest for the trees. Perhaps not surprisingly for a film proclaimed by marketing to be a true story, it is only loosely based on reality. And yet the film works hard to give it a sense of verisimilitude. 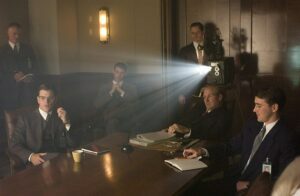 The production design and costumes, in particular, do that with their depiction of the CIA’s original headquarters on E Street during many of the 1961 scenes. That sense extends across the entire film from scenes set at Yale to post-war Berlin and numerous tropical locations. It is visually more than in the details of events that the film most true to life. As a spy film, The Good Shepherd works far better than it does as a history lesson. Indeed, Roth’s screenplay might arguably owe more to the works of John le Carré than it does to history. The film follows Edward Wilson from being a poetry student at Yale in 1939 (more shades of Angleton) to 1961 with the shifting back and forth in time reminiscent of the structure of A Perfect Spy as the counterintelligence chief looks over his life. Indeed, the framing device’s use of a hunt for a mole who may have revealed the invasion owes something to Tinker Tailor Soldier Spy as well as introducing a Karla like nemesis for him in the form of Oleg Stefan’s Ulysses. The film even manages to make a passing reference to one of Tom Clancy’s novels which is a pleasant nod to the genre as a whole. A brotherhood of spies: Edward Wilson (Matt Damon), CIA director Philip Allen (William Hurt), and Deputy Director Richard Hayes (Lee Pace) in a scene from the film. Which, along with the film’s attempt to include as much as it can from the early years of the agency into a single narrative, might be the film’s biggest problem. The running time for the film is at the border for three hours, and even that isn’t enough to contain everything the film needs. Characters and plot elements introduced in one scene fall by the wayside never brought up again (such as Pesci’s mobster for example) or are ultimately underused (such as Alec Baldwin’s FBI agent who seems to wander in and out of the plot). The 2007 DVD release contains sixteen minutes of deleted scenes centered around a removed story arc involving Clover’s brother while the published shooting script reveals additional deleted and extended scenes. There was a much-talked-about four-hour director’s cut planned for a DVD release that, as of 2018, has yet to materialize. The film then works but has the feel of something being missing at the same time, perhaps appropriately enough for something set in the world of intelligence. Looking back at the film after nearly a dozen years, it stands up well. While the claim for it being “the untold story” is overblown, it is rich in visual period detail and settings. It also remains a compelling film despite it being a highly fictionalized depiction of those early daring years of the CIA. 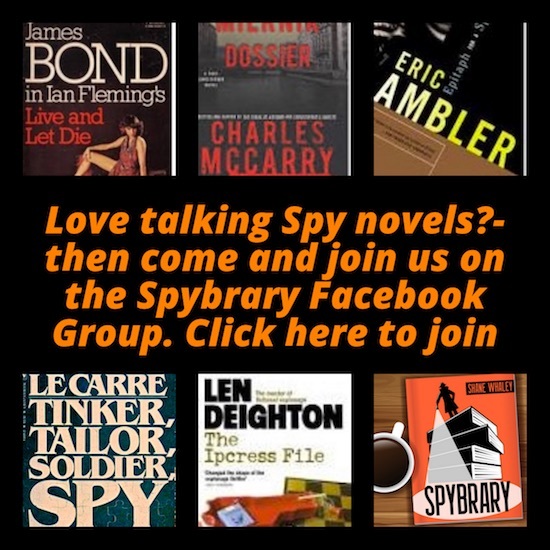 For that reason, The Good Shepherd is well worth viewing for fans of cerebral, serious-minded spy fiction. As an author of espionage-related historical fiction, I agree that “The Good Shepherd” is a factual trainwreck. 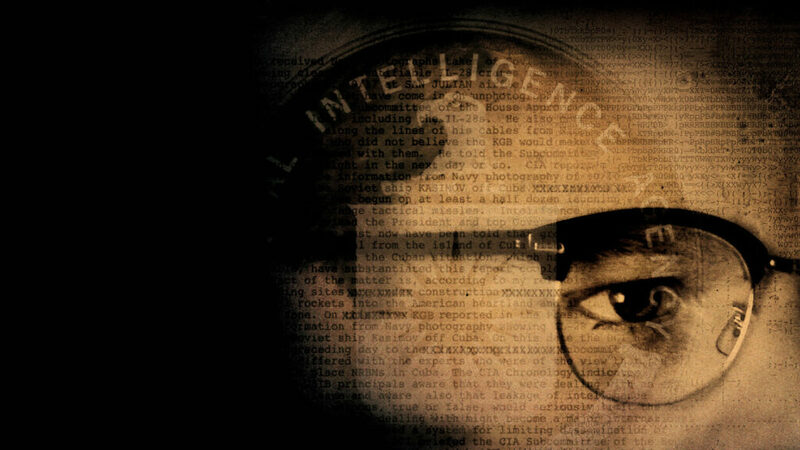 If Matt Damon’s character is based on legendary and notorious CIA Chief of Counterintelligence James Jesus Angleton, the screenwriters must have read much different research material than I did. Damon’s character is terse and reserved to the point of psychosis. The Angleton I discovered was quite the opposite. The same goes for the William Hurt character, supposedly based on Allen Dulles. Hurt plays the part of CIA Director as sullen, secretive and, ultimately, a money-grubbing embezzler. None of that jibes with my research. Dulles was a schmoozer of the first order, and quite well fixed from many years on Wall Street. That said, I think the movie is brilliant on its own terms. As one who used to write screenplays in Hollywood, I would have been quite proud to append my name to “The Good Shepherd.” Just don’t try to tell me it’s based in fact. Good Shepherd actually reminds me a lot of the main character and plot of Norman Mailer’s book Harlot’s Ghost, one of the best if not the best and thickest spy novels, based a lot on Edward Lansdale’s lifetime of espionage.